Martha Berry wants Dr. Green to express her gratitude to the Rome Kiwanis Club for their good wishes while she was in New York. 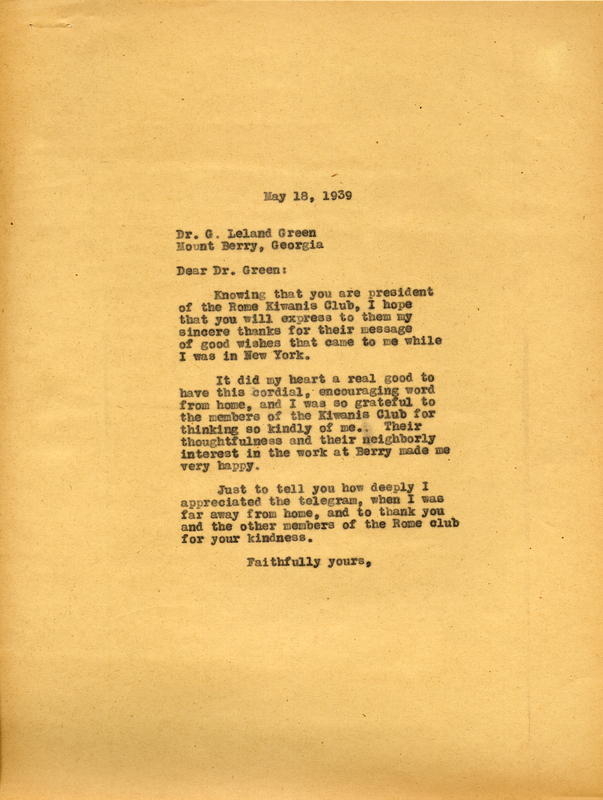 Miss Martha Berry, “A Letter to G. Leland Green from Martha Berry.” Martha Berry Digital Archive. Eds. Schlitz, Stephanie A., Justin Karch, Jessica Hornbuckle, et al. Mount Berry: Berry College, 2016. accessed April 19, 2019, https://mbda.berry.edu/items/show/15018.